Our reward system is based around our ASPIRE Award. We have six key aims, which lie at the heart of everything we do. We will continually be working towards these aims and, in addition to this, the ASPIRE award will focus on one particular aim each week. One child from each class who has demonstrated particular commitment to that aim during the week will be chosen to receive the award, which will be presented in an ASPIRE Assembly each Tuesday (Reception, Year One and Year Two) and Wednesday morning (Year Three, Four, Five and Six) at 9:00 am. 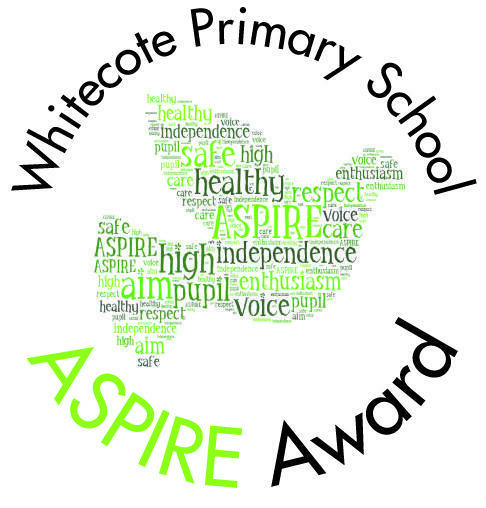 Parents are invited to attend the assembly and children receive a certificate and badge. In order to be eligible to receive the award that week, children will need to have achieved the ASPIRE Essentials. The staff will then choose one child from among those who are eligible for that week. They will also receive a certificate in recognition of their positive contribution towards the life of the school.